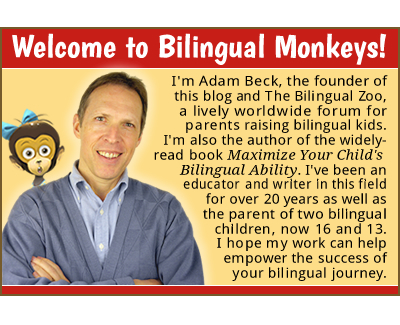 Are You Accidentally Hindering Your Child’s Bilingual Progress? Here’s an important principle to keep in mind: When it comes to nurturing good bilingual ability in your kids, everything you do either moves you closer to that goal, or impedes your progress. In other words, all the choices you make, all the actions you take, will either help or hinder that effort because nothing you do is neutral. And this is true of every other choice you make, every other action you take, day in and day out. 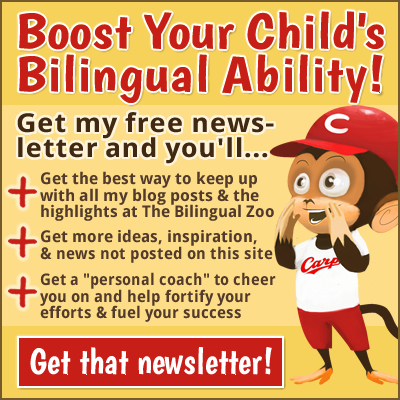 Your child’s bilingual ability as a teen will ultimately be the sum total of all the small choices and actions you pursue, or don’t pursue, throughout his childhood. I know all this sounds pretty daunting (and the child has some responsibility here, too! ), but I just want to underscore the importance of staying awake, each day, to the necessity of taking these tiny steps toward your goal. 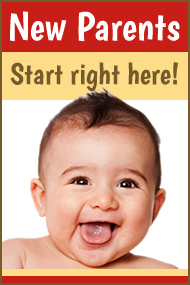 After all, raising a child with good bilingual ability is a long journey, “a journey of a thousand miles,” and you and your child will only get there if you are consistently, persistently taking step after step after step. If you get “too busy” to take regular action, or you make choices that are counterproductive, you shouldn’t be surprised when, down the road, you find that you’re not as far along on this journey as you had hoped. Let me give you a good concrete example. Your little boy comes to you and says he wants a “Nintendo DS” or another of those handheld electronic toys. Now I realize every family is dealing with different circumstances, but all things being equal, getting him that device in the majority language—that’s Japanese if the child lives in Japan and attends a Japanese school—will set back your efforts. Think about it: If your intention is to promote his English exposure, and inhibit his Japanese exposure—as it should be if you’re serious about your long-term goal for his bilingual ability—then this is a counterproductive choice. Not only will you not be advancing his English ability, you will be fortifying his Japanese at the expense of his English. Such choices are the surest way to impede steady progress and, ultimately, leave your child with weaker English skills. How, then, can we turn this situation around and make a more productive choice, one that will still please the child while promoting the English exposure we seek? 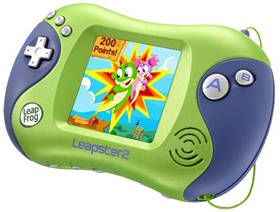 One possibility would be the Leapster Learning Game System from a company called Leapfrog. 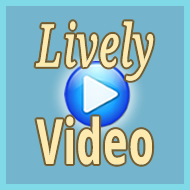 Geared to children ages 4 to 9, this educational device promotes literacy, math, science, art, and other skills through an extensive line of appealing games. We got a Leapster 2 a few years back, and have accumulated eight game cartridges. Although it isn’t something my kids use every day, the device has definitely played an important role in boosting their English exposure and basic academic knowledge. Leapfrog, in fact, makes a number of other popular electronic devices that nurture learning and literacy and these may also be worth a look as a way of enriching your child’s English environment. The takeaway today? It isn’t possible, of course, to control every element that impacts your child’s bilingual development, but whenever you do have some control, you should exert it. You should make conscious, productive choices that are in line with your long-term goal for your child’s bilingual ability. And remember: That destination is the fruit of ten million tiny steps, taken day after day after day. How about you? 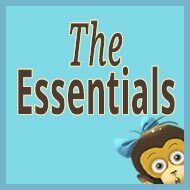 Do you use any electronic devices to nurture your child’s English ability? We use a program from BBC, “Mazy in Gondoland” to teach the grammar. It works so well that I almost never needed to teach myself and the children got it right straightaway. Sounds like a great resource, Cyrille. Thanks for sharing it! I recently invested in a couple of iPad minis for my two wee ones. A big expense but well worth it. 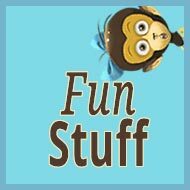 I uploaded a selection of educational but more importantly fun apps and my 6 year old daughter and 4 year old son love playing them. Check out the super duper publication apps if you get a chance. Highly recommended for any iPad owners with kids are the indestructible armour boxes! 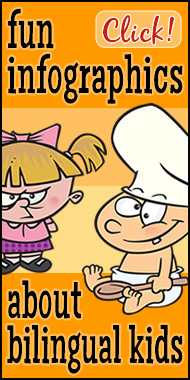 Gregor, thanks a lot for your post. As I have no experience yet with iPads and their apps—but am eager to learn how this technology can help support the quest to raise bilingual kids—I’m always happy to hear from other parents on the subject. It sounds like your own experience so far has been very positive! Monster Hunter for example (VERY popular with teens in Japan) is now available in English – win/win! James, thanks for this great tip! I’ll definitely keep this in mind for the future! As Gregor already mentioned, iPads are excellent learning tools. Our 7-year-old daughter loves mine, and the range of educational apps available, (both free and for purchase), is impressive and constantly growing. For example, there are apps like Sentence Builder for grammar/reading practice, Spelltower for spelling, and all sorts of interactive stories and games. There are also some great apps for kanji practice, so it’s good for her (and my) Japanese, too! Thanks for these tips, Adam! I’m wondering if anyone have suggestions for good apps for android? 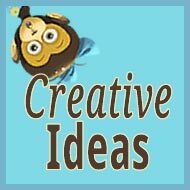 I’ve been downloading a few, but haven’t found really good learning apps for children. For reading and spelling, I would prefer British English My kids are 5 and 3, the oldest one has started reading in Norwegian, but not yet in English. We have the older DS lite and DSi and game cassettes from the US work fine in them so we have collected a few from overseas to use. Some are great for English reading and writing! Unfortunately this doesn’t work with the newer 3DS as they have coded it for different countries. We have tried a lot of Leapfrog products and I don’t know if it’s just bad luck but every single one stops working within the year. The only one I really liked was the Tag Reader, that is great and I use it in my English classroom too! The very best thing though is an ipad! We couldn’t live without it! 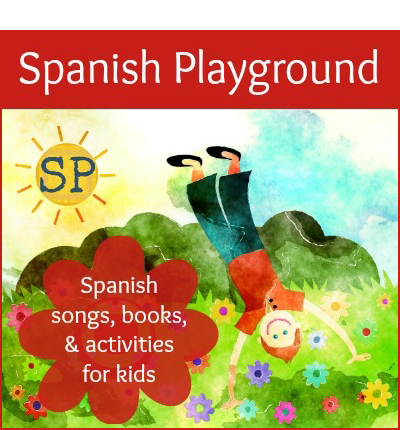 Hundreds and thousands of apps for English learning for kids! There’s a great English books app called Farfaria, I know you would love it! 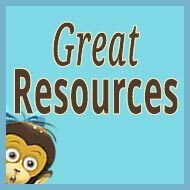 Over 400 illustrated English books automatically read to you with decent voices and a self read option too. You can explore various themed lands to find new books. You subscribe but there is one free book of your choice allowed per day without the subscription. Kat, thank you for all these helpful tips. Digital learning is a big new world for me to explore! 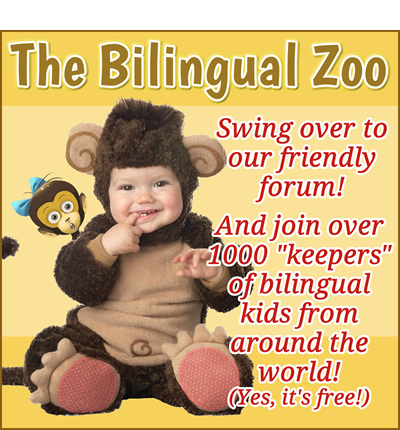 I am wondering if you have any advice/resources for parents wanting to make their children bilingual if these children are already 6 years old. My youngest (age 3) has picked up Spanish as a second language naturally because I am finally at a stage to speak in the house with my husband. My son, age 6, has not been so lucky and is struggling with it. 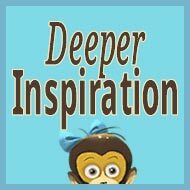 We homeschool to maximize exposure, travel to South America every year for 6 weeks, and are close to speaking it in the home until he catches up, but I’m wondering what else I can do. Any suggestions? Thanks! Charity, welcome! It sounds to me like you’re making excellent efforts to support your older son’s language development. By emphasizing the use of Spanish in the home, and traveling to South America for 6 weeks each year, my sense is that his ability in the second language will grow rapidly. For further ideas that might also help fuel the process, please see these posts. I wish you and your family all the best! Raffaela, I’m afraid we don’t have an iPad yet, so I’m not familiar with useful apps for English learning. Anyone out there have some suggestions?